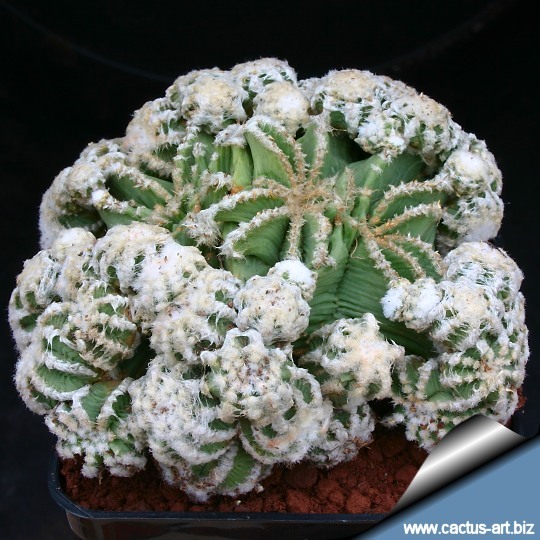 Occasionally cacti show aberrant growth forms - called "monstrous" forms, uncharacteristic of the species. 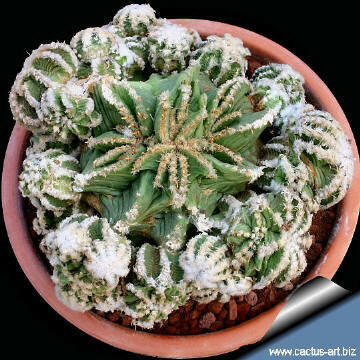 An example of this is Aztekium hintonii forma mostruosa a very interesting, slow growing and uncommon plant in collections. 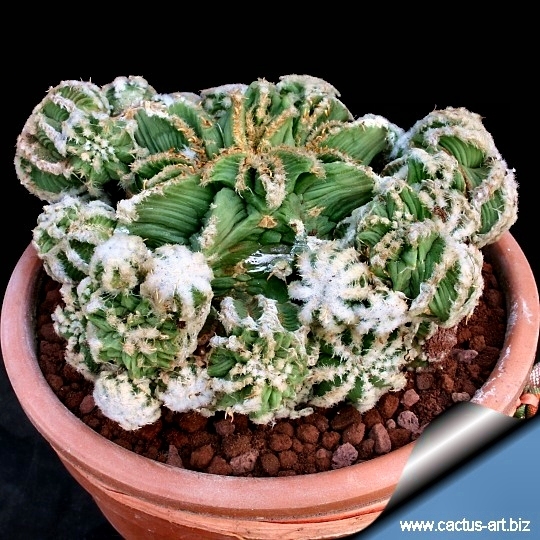 Photo of conspecific taxa, varieties, forms and cultivars of Aztekium hintonii. Description: This is a genetically stable mutation with variable +/- monstrous, irregularly shaped, ribs with knobby-looking swellings along the stems. Stems are lightly pruinose and branches just from the base and occasionally at higher levels, the apexes easily. The areoles are white and woolly. Note: This clone is similar - and often confused - with A. hintonii forma prolifera that produces an anomalous proliferation of shoots just from the base and occasionally at higher levels. The "prolifera" form is greener, less wooly and will never produce monstrous or dichotomichous or crested apexes. Cultivation: It is of slow growth, but not as slow as A. ritterii. It usually takes several years for growth to be noticeable. Needs good drainage and regular water in summer. It should be dried out completely for its winter rest when it will withstand temperatures down to to -4°C for short periods. It prefers some shade.